Best BASEBALL Quiz game ever! Guess top BASEBALL players of 2013-2014 season. Tap the blocks, reveal the pic and guess the word. It’s that simple. 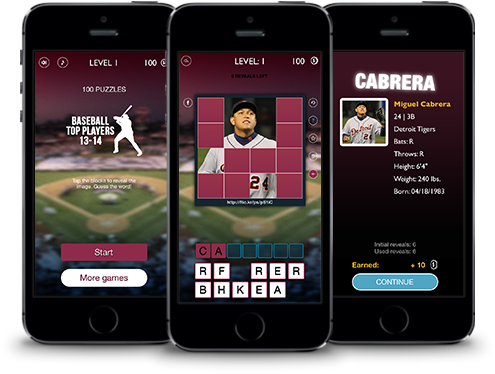 Extra addictive puzzle game for baseball fans with some awesome music in background – You won’t stop playing! Show how good You are and how many of Baseball Stars you know? to share with the world so BASEBALL Top Players app can grow!